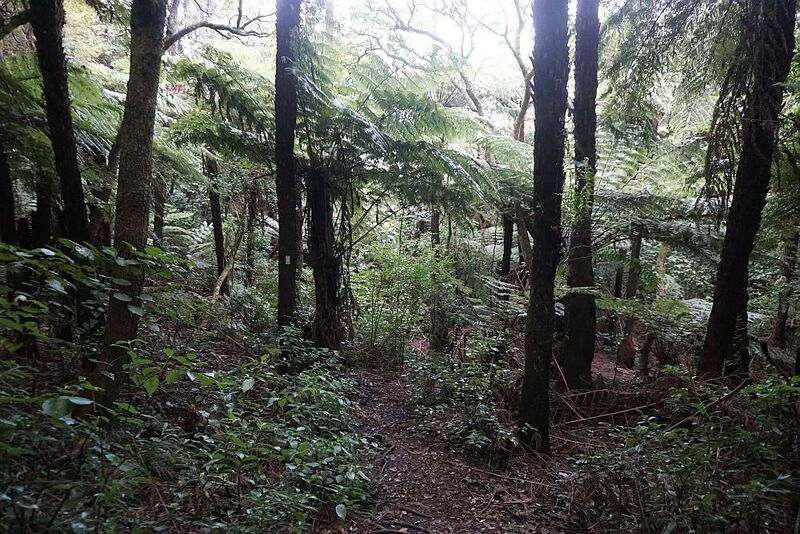 The Pohutukawa Park track runs through the forest in the hills at the northern end of Waihi Beach, between the beach and the old Waihi Beach water supply reservoir. Both ends of the track are close to residential areas. Dogs are allowed on this track, which is not administered by DoC. The track is not very long, but has a number of steeper sections with steps. The track has small, white, rectangular track markers instead of the orange triangular ones used on DoC tracks. 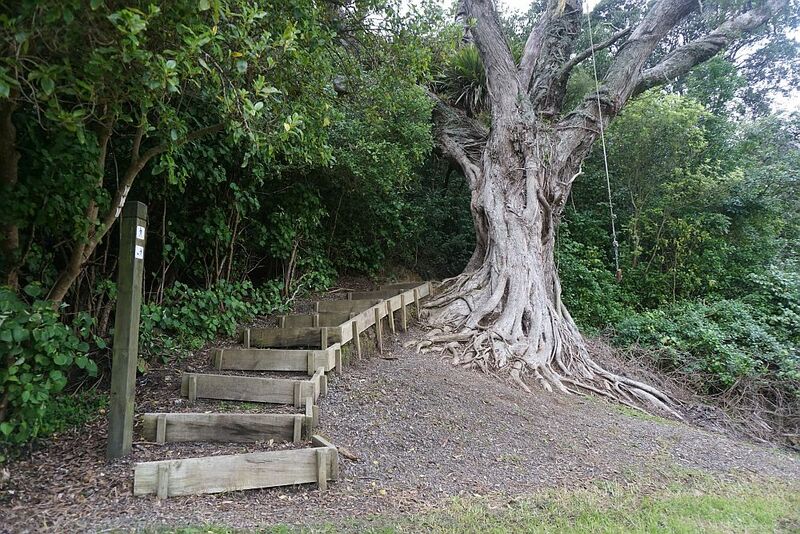 The track is also accessible from Pohutukawa Park. 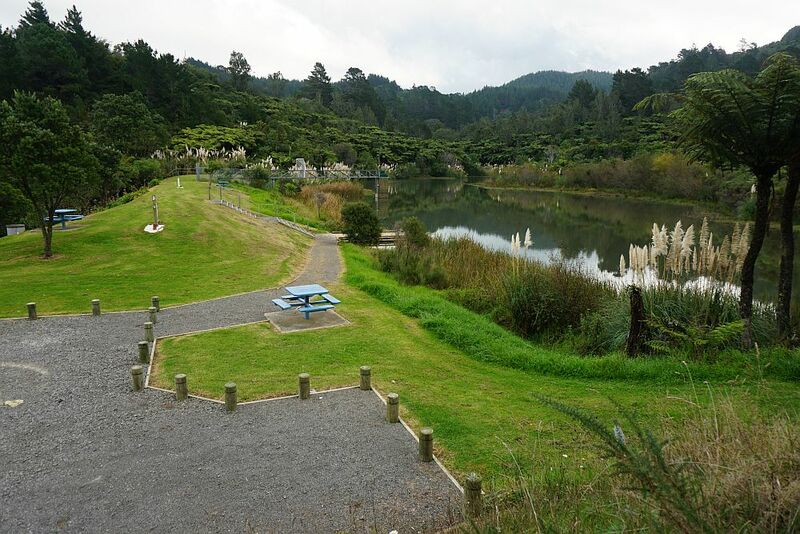 There are no great views from the track itself, but there are pleasant picnic spots near Pohutukawa Park and by the reservoir. 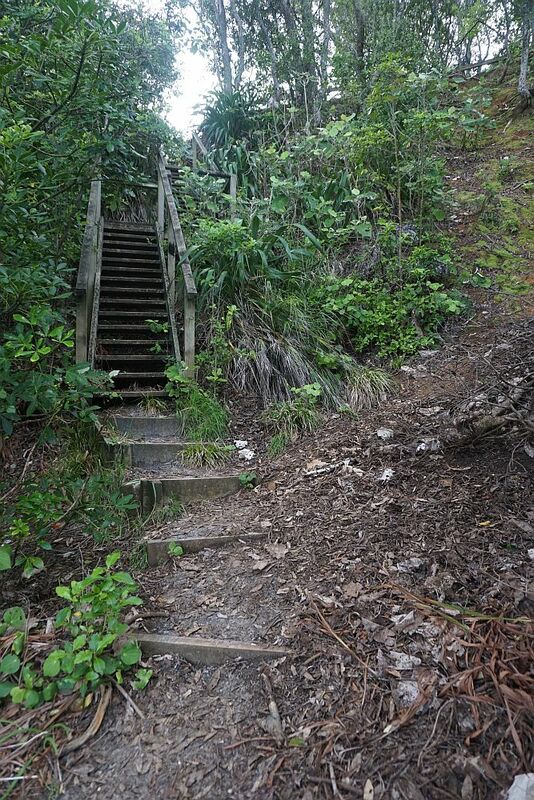 The northern end of the track starts at the beach, between The Esplanade and the start of the Orokawa Bay track, with a set of steep steps. 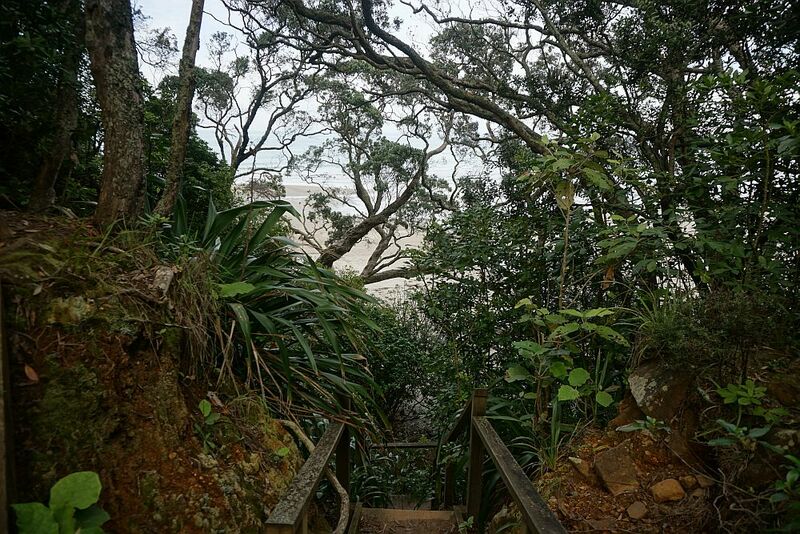 At the top of the steps the beach can be seen through the branches of pohutukawa trees. 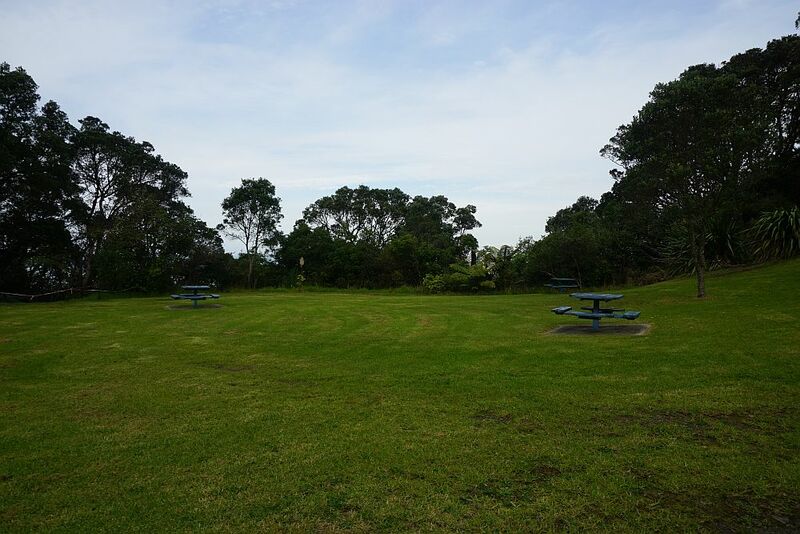 There is a picnic area with tables and benches between the beach and Pohutukawa Park. 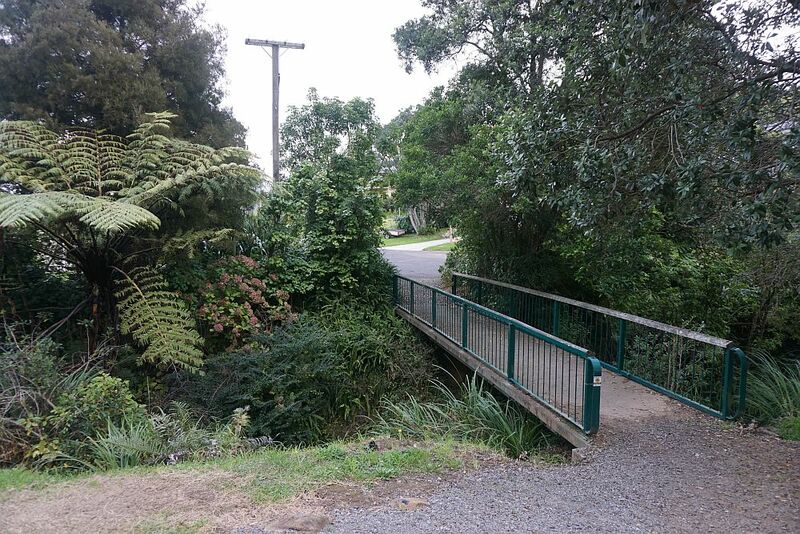 The track from here to Pohutukawa Park is wide and an easy walk. 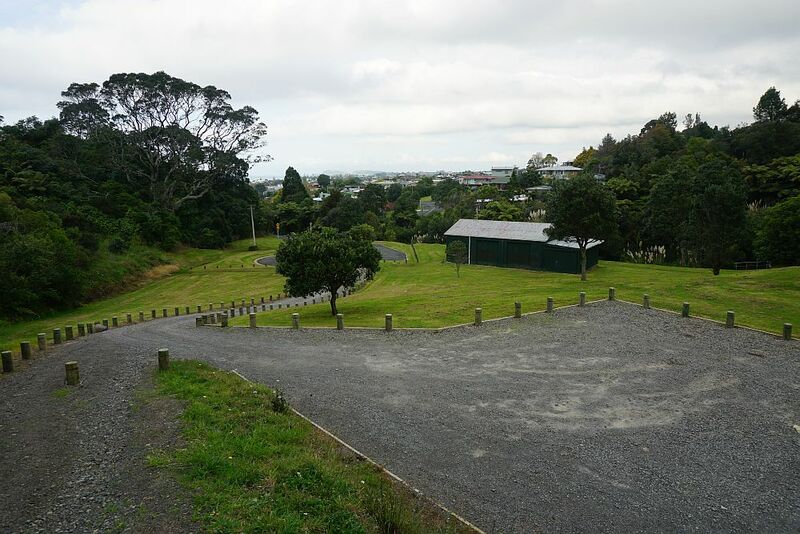 The track runs past Pohutukawa Park where there is also a parking area on a short road off Seaview Rd and The Terrace. 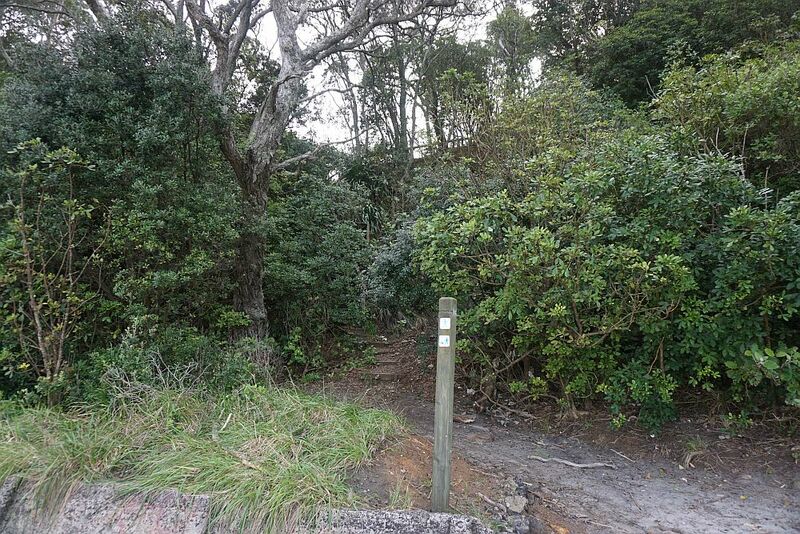 The track from Pohutukawa Park to the reservoir has a marker post indicating that dogs are allowed on the track. 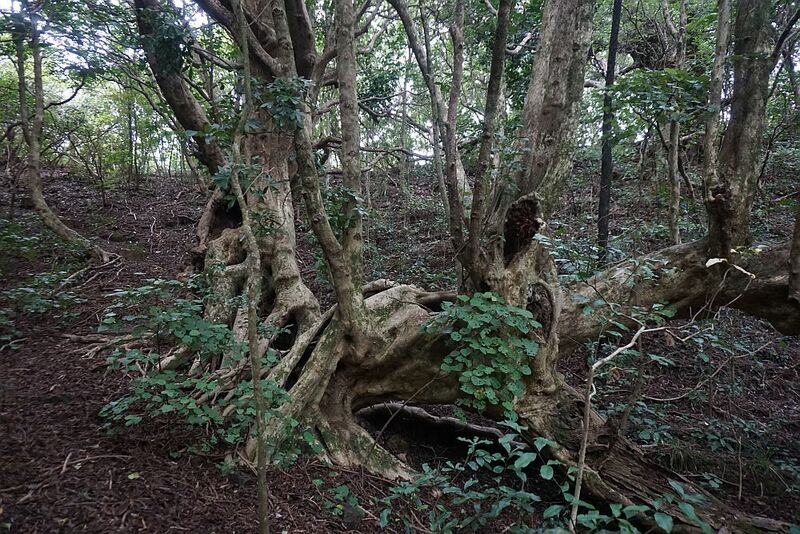 Although there are no good views from the track there are some interesting old trees. 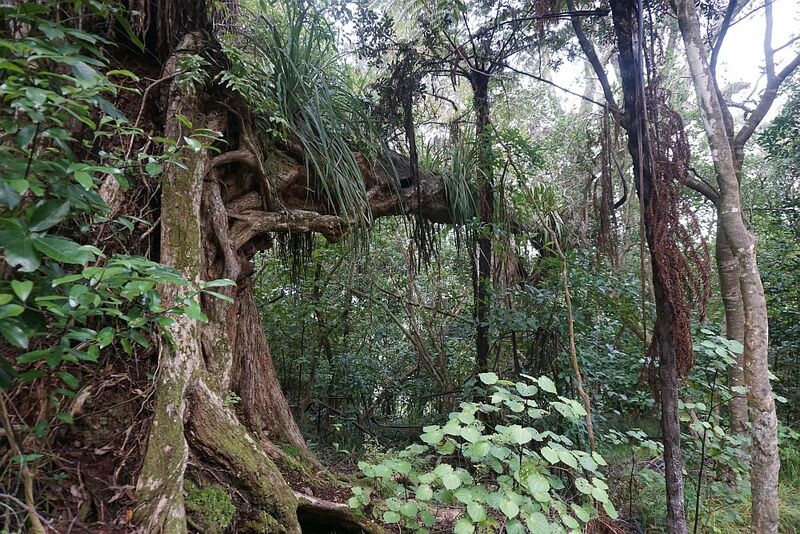 A large branch has broken off this old puriri, and is now hanging in the fork of another tree nearby. A white rectangular track marker can be seen on one of the trees left of centre. The location of most of the track is obvious without the markers, although it does not seem to be used frequently. 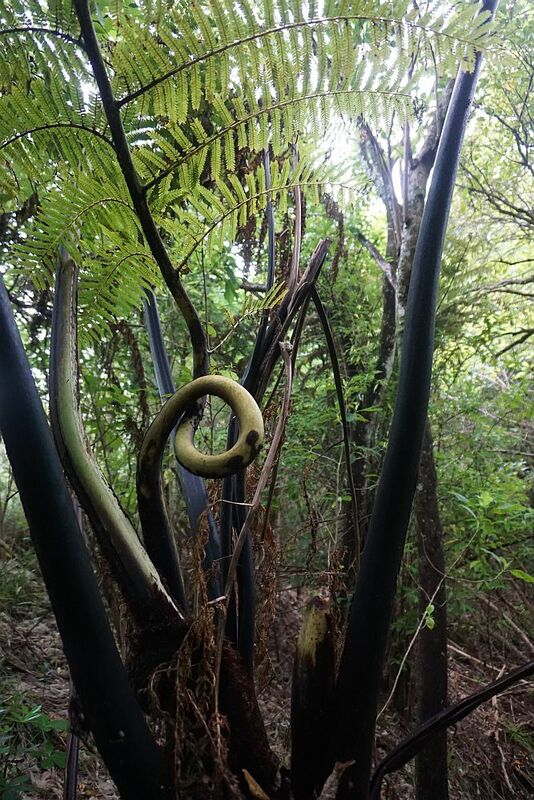 For some reason the leaf on this fern has done a 360-degree turn during its growth. 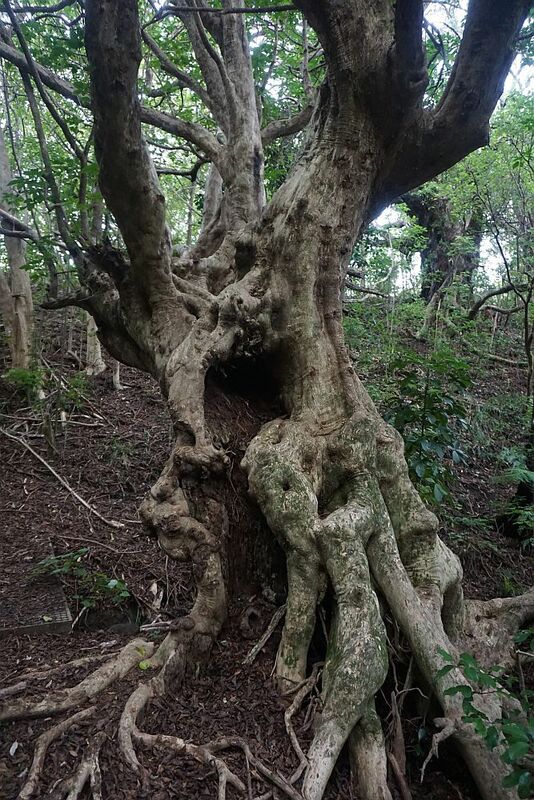 Another old puriri tree, which has regrown in various stages, and has a hollow trunk. 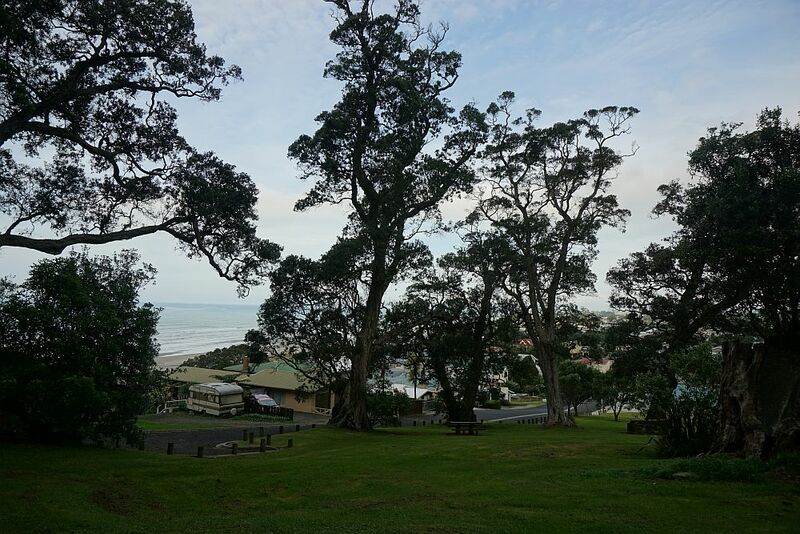 The old puriri seen from the opposite side. The end (or start) of the track by the reservoir. There is an open area by the reservoir, with a parking area and vehicle access along a short, narrow sealed road starting at the intersection of West St and Pacific Rd. The picnic area and reservoir lake. Apparently the track continues from here along the edge of the far side of the lake. There is a footbridge across the lake overflow stream to the northern tip of Ocean View Rd. 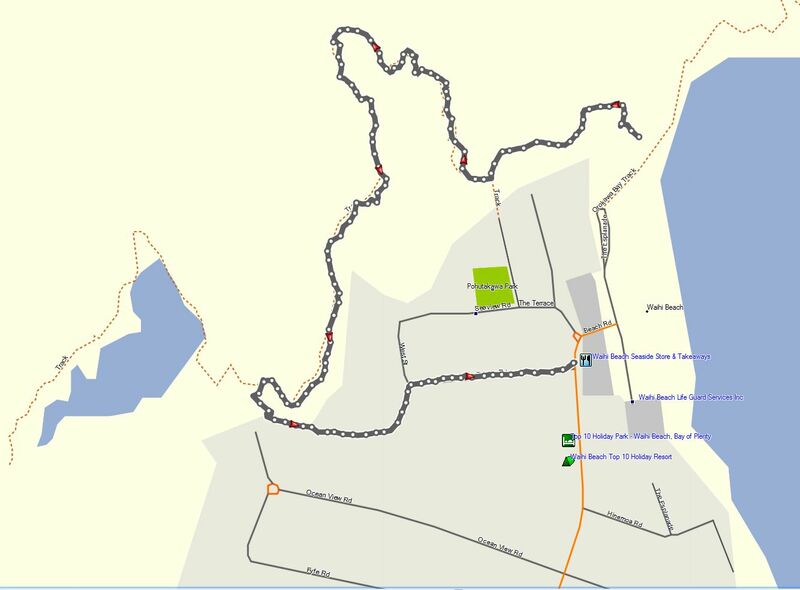 The GPS tracklog shows the walk from the beach and back down to Beach Rd. The total length of the walk as shown is about 1.7 km, and took about 30 minutes. Lowest point was at sea level. Highest point about 110m above sea level. It was walked on May 5, 2015. 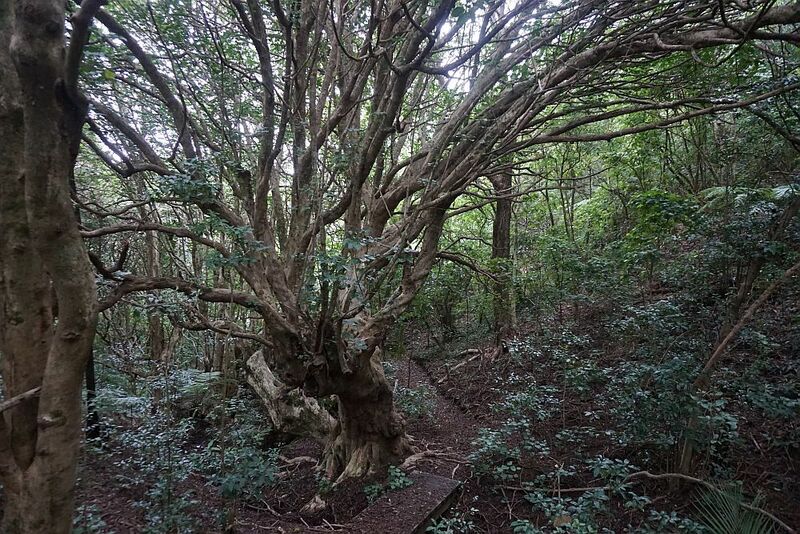 This entry was posted in Walks and tagged Pohutukawa Park, Waihi Beach on 2015-05-06 by nzartig.